Everyone take your burger patties and just put them in the fridge until tomorrow. Today we’re having fish. It can be delicate, steaky, sometimes it can even come with the head still attached. One thing it doesn’t have to be though is intimdating. 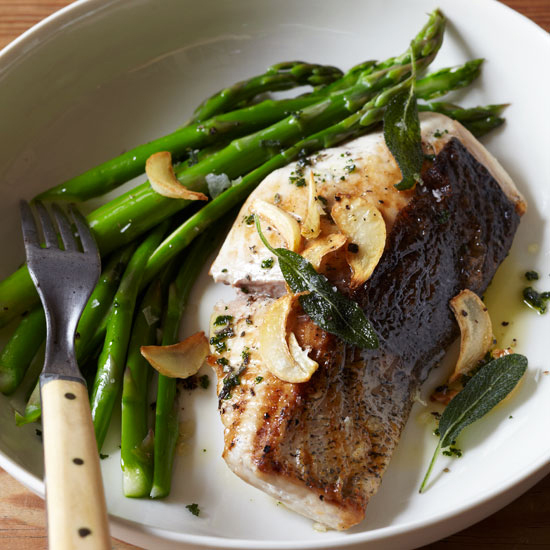 Other than a little salt, pepper and oil, All these fish dishes use five ingredients or less. A simple classic guaranteed to impress whoever you’re sharing a weeknight dinner with. Do not fear the whole fish. There are nooks and crannies that are full of more flavor than you could imagine. If you can’t handle it you can always go this route though. This one has a double dose of fennel: once in the marinade and again in the roasting pan with entire bulbs. Wrapping the fish in foil is a great way to make sure whatever you’re using stays perfectly moist (no we don’t think that’s a dirty word). You may start wanting to add fried garlic chips to everything after this.